Do you need an English to Chinese interpreter? 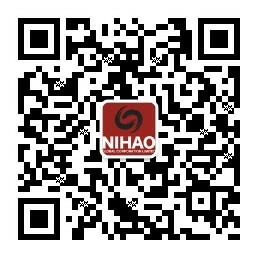 We at Nihao Global specialise in interpreting between English and Chinese, and has interpreters across 20 major Chinese cities, including Beijing, Shanghai, Guangzhou, Shenzhen, Tianjin and Chengdu. We can provide prescreened interpreters for short term (1/2 day) through to long term (12 months+) contracts. Whether your event is large or small, we will cater to your needs. Consecutive interpreter (CI): The interpreter speaks after the source language speaker has finished speaking. Standard level - General Assistant: the interpreter is competent for daily conversations, basic business-related communications, meeting coordination, and other similar assisting work. Normally is an English major graduate or an overseas returnee with fluent English. Medium level - Business Entourage: the interpreter is competent for general business meetings or B2B meetings; Normally is an English major & a mid-level accredited interpreter, possibly with overseas experience; interpreting experience across some sectors. High level - Consecutive Interpreting: the interpreter is competent for Senior Executives’ meetings, business negotiations, intensive or technical conferences; Normally holding a Master’s Degree in Interpreting & is a high-level accredited interpreter, usually with overseas experience; rich interpreting experience across dozens of sectors; can learn and adapt fast. Simultaneous interpreter (SI): The interpreter renders the message in the target language while the source language speaker continuously speaks. It is usually applied in conferences with the support of SI equipment to ensure a bi-lingual and multi-lingual communication at the same time. SI interpreters must hold a SI certificate. They are systematically trained as SI and they might be better at SI than CI. If a simultaneous interpreting job is longer than 40 minutes, then 2 interpreters are required given its requirements on intensity, consistency and accuracy. Nihao Global can provide all the equipment required for simultaneous interpreting events (headsets, console, booth etc.) as a turnkey solution, as well as the technical support before and throughout each event.